CHICAGO (WLS) -- A Lyft vehicle transporting two passengers sustained window damage after being hit by gunfire early Saturday on the Stevenson Expressway on Chicago's West Side. 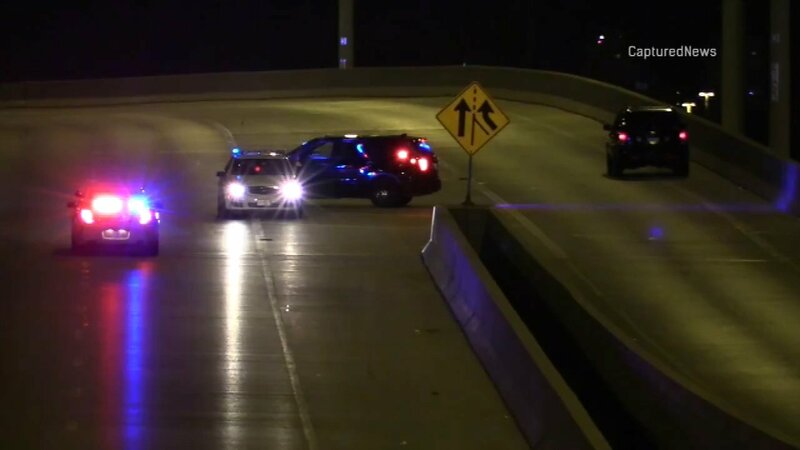 The incident occurred at about 2 a.m., temporarily closing northbound lanes at Damen Avenue, according to the Illinois State Police. The Lyft vehicle was a dark SUV that was caught in the crossfire of two other vehicles, including a brown Camaro. The passengers were not injured, police said. The Lyft driver was injured by broken glass. In a statement, Lyft said: "We're shocked by this incredibly frightening ordeal. As soon as we were made aware of it, we reached out to the driver and passenger to check on their well-being. We stand ready to assist law enforcement in any investigation." The Lyft driver was injured by broken glass.